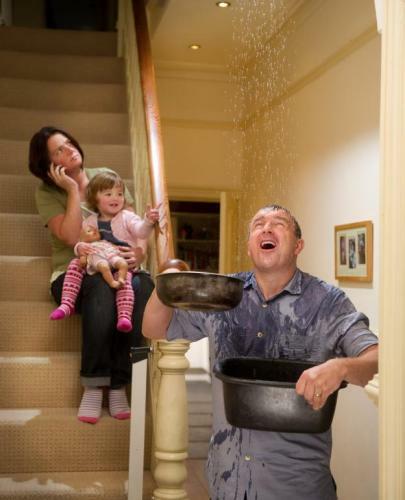 Buildings supplied with water via a mains water feed supply with a manual stopcock are at risk of water leaks and flood damage if there is a breach or burst pipe within the internal water system. Turning the manual stopcock can stop the supply of water into the internal pipework but can often be located in hard to reach locations and, due to the material used and infrequent usage, can seize up over time and become difficult to use in an emergency. Autostopcock, previously known as Tapoff, is an intelligent, automated system which provides a simple solution. 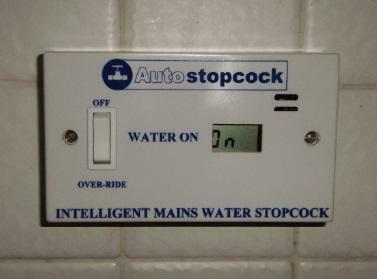 The Autostopcock continually monitors waterflow and terminates the mains water supply if an unusual continual flow of water is detected which may indicate a burst pipe or leak. Additionally the Autostopcock provides frost protection by terminates the water supply automatically if the ambient temperature drops below 3ºC or if there is no water flow for a pre-set period of time which may indicate the property is vacant. Designed and made within the UK, the Autostopcock is designed with a manual switch to allow for the mains water to be simply switched on or off as required, and an additional override switch is provided to enable continuous water usage without triggering the flood prevention safety measures. 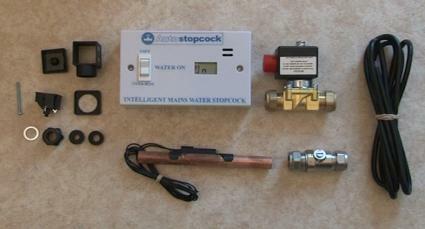 The Autostopcock unit is battery operated and is supplied in a 'turn key' kit containing everything for installation. The Autostopcock is WRAS and BSI approved, has a 10 year guarantee and conforms to point 16 of the "Lifetime Homes Design" criteria.